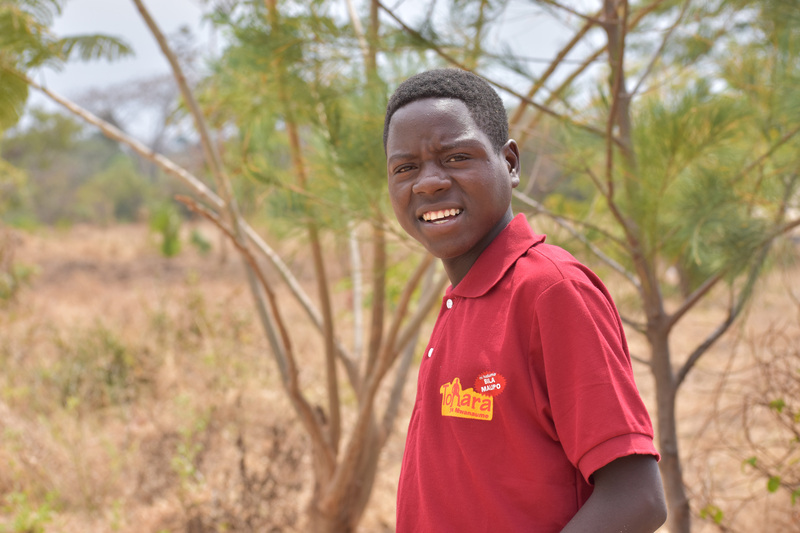 Shaban Peter (18), from Kinamiwa village in Shinyanga region, is a VMMC champion. Photo by Mary Goodluck Mndeme for IntraHealth International. Mariam Shambuli. Photo by Mary Goodluck Mndeme for IntraHealth International. She received VMMC training from the Tanzania Youth Alliance (TAYOA), one of IntraHealth’s local partners, after her community and Bunamala government leaders recommended her as a favorite, skilled local health worker. Mariam is among 161 community health workers trained by TAYOA between October 2017 and January 2019. Every day, they meet with about 20 people, often walking for three hours to reach them. Since June 2018, Mariam has connected 484 boys and men to VMMC services at Bunamala dispensary, an IntraHealth-supported outreach site. More than half (277) were adult men over the age of 20. Every day, she and her fellow community-based health workers meet with about 20 people, often walking up to three hours to reach them. They spread the word that VMMC not only reduces men’s risk of acquiring HIV and other sexually transmitted infections, but also of passing them on. This includes human papillomavirus, which can eventually lead to cervical cancer in women. IntraHealth is implementing the ToharaPlus project with funding from the US President’s Emergency Plan for AIDS Relief (PEPFAR) through the US Centers for Disease Control and Prevention (CDC). ToharaPlus focuses on HIV prevention by increasing the availability of VMMC in Tanzania’s Lake Zone regions. IntraHealth collaborates with the Ministry of Health, Community Development, Gender, Elderly and Children; the HIV Control Unit; the President’s Office – Regional Administration and Local Government; and regional and district health committees to scale up high-quality VMMC services.